One of the key health service staff members involved in the decision to leave 'Grace' in a foster home despite allegations of abuse still works for Tusla. HSE boss Tony O'Brien confirmed that the individual still works part-time for the Child and Family Agency, as he appeared at the Dáil's Public Accounts Committee to correct evidence he gave last year. It came after Mr O'Brien was last month accused of providing "misleading" information to the committee about the case. A Commission of Investigation is to examine the treatment of the woman known as Grace, who was allowed to remain in the home in the south east for 13 years after allegations of sexual abuse were made against her foster father. Mr O'Brien told the PAC in February 2016 that three individuals involved in a 1996 decision to leave Grace in the home "are no longer in the public service". Yesterday he told the committee that he had said this because all three had retired from the HSE at that time and they were all in receipt of full pensions. However, Mr O'Brien said that an examination he initiated after he was accused of misleading the committee has established that one of the individuals "provides some specialist clinical services to Tusla on a part-time contract basis". He said that in light of that information he was correcting the record. "I wish to apologise to the committee for not being in a position to have had more complete information at the time in February 2016," he said. In his statement Mr O'Brien stressed that he had given his 2016 evidence to the PAC "with the utmost of good faith". He said he had been "somewhat restricted" in his evidence last year as two reports into the case - the Conal Devine and Resilience Ireland reports - had yet to be published and also due to the ongoing Garda investigation. Mr O'Brien said "there are other people who were involved in aspects of decisions around Grace both in 1996 and at other times who currently work in the HSE or Tusla and who may face disciplinary action now that both reports have been published." 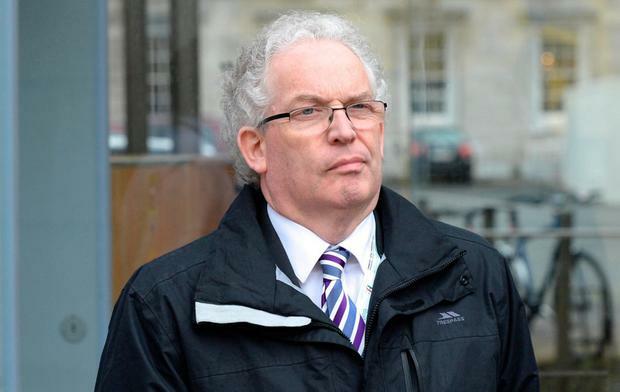 Under questioning from Sinn Féin TD David Cullinane, Mr O'Brien denied that he has "actively misled" the committee. "I've just corrected part of the record of that committee which means that the information I gave was not accurate. I do accept that," he said.